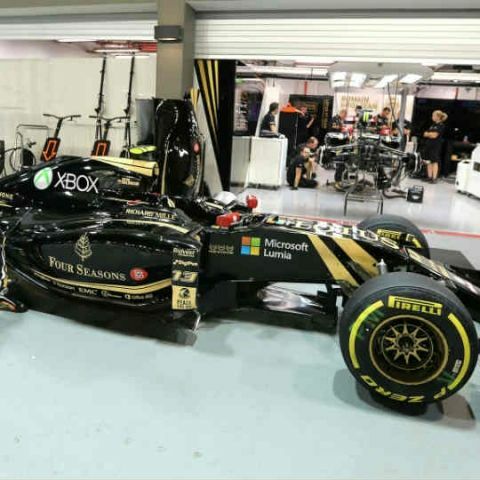 Beat Lotus’s F1 Driver Romain Grosjean in Forza Motorsport 6 and XBox head Phil Spencer to achieve ultimate bragging rights in the game. Microsoft is inviting people to come and Play Forza Motorsport 6 online and beat the timings set by head of XBox Phil Spencer and Lotus F1 Driver Romain Grosjean. This will give players the ultimate bragging rights in “Forza Motorsport 6”. Participating fans will have to do better timings than Romain Grosjean’s 1 minute and 52.03 seconds and Phil Spencer’s 2 minute 00.343 minutes. Fans have to use Lotus F1 Team’s E23 Hybrid on Belgium’s Circuit de Spa-Francorchamps circuit. “I am extremely excited about the launch of “Forza Motorsport 6” in Asia. I’ve had the opportunity to race the E23 Hybrid in the game, and the entire racing experience is absolutely amazing. The visual detail within the car is immaculate, the graphics absolutely breathtaking and the sound is incredible – it almost feels like I’m racing the actual car itself! I’m particularly impressed by the night racing and wet weather modes as they provide an added dimension to the virtual racing experience. I hope fans will put in their best efforts in this challenge, and look forward toseeing them beat the timings set by Phil and I.” said RomainGrosjean, Lotus F1 Team Driver. Powered by the cutting-edge ForzaTech™ engine, players can collect and race over 460 ForzaVista™ cars, including the 2015 Lotus F1 Team’s E23 Hybrid that packs a powerful Mercedes Benz Power Unit alongside design and aerodynamic improvements for a superior racing experience, and race these cars in 26 world-famous locales, including Daytona, Le Mans and Circuit de Spa-Francorchampsamong others.